Simplicity requires no excuses, or apologies. Often at a bare minimum true riches are revealed. 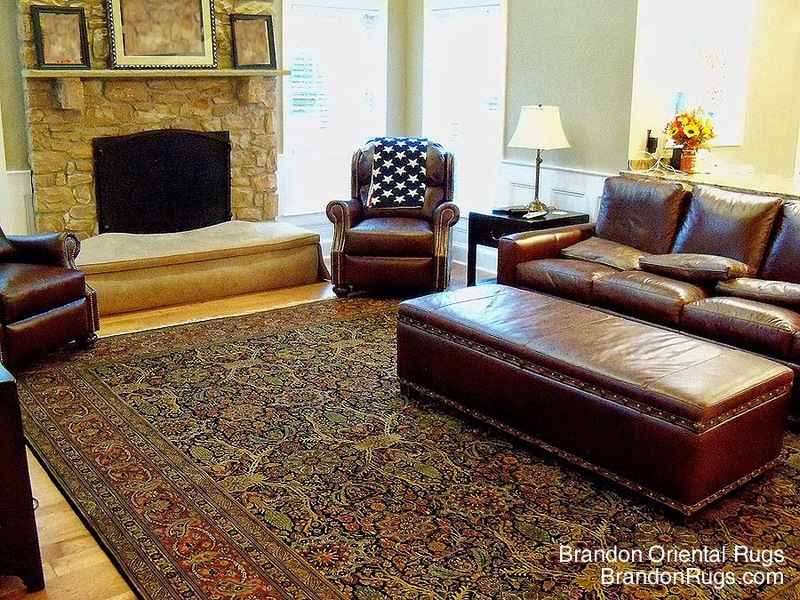 Our customer, who discovered Brandon Oriental Rugs via an internet search, invited us to help her find a rug to complete her recently refurnished family room. She has two small children (one a toddler) and wanted her rug to be durable; resistant to dirt and stains; easy to keep clean; and soft to the touch (to assure soft landings for her toddler). She had already done a lot of research online about area rugs; and had tried some selections from other sources which turned out to lack the quality she wanted. 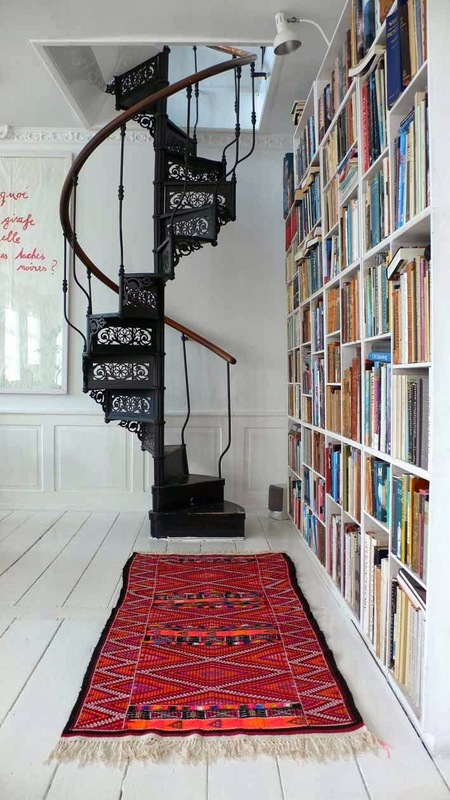 By the time she engaged our services she knew that only a real, hand-knotted oriental rug would do; though she wasn't sure exactly what kind or style would be most suitable for her. Initially she thought a 9x12 rug would be best for the room, but pictures shared with us suggested that a 10x14 deserved consideration too: an idea to which she was open provided it did not explode her budget. The following "before" and "after" pictures demonstrate what the patience and resolve she brought to her rug search enabled her to accomplish. 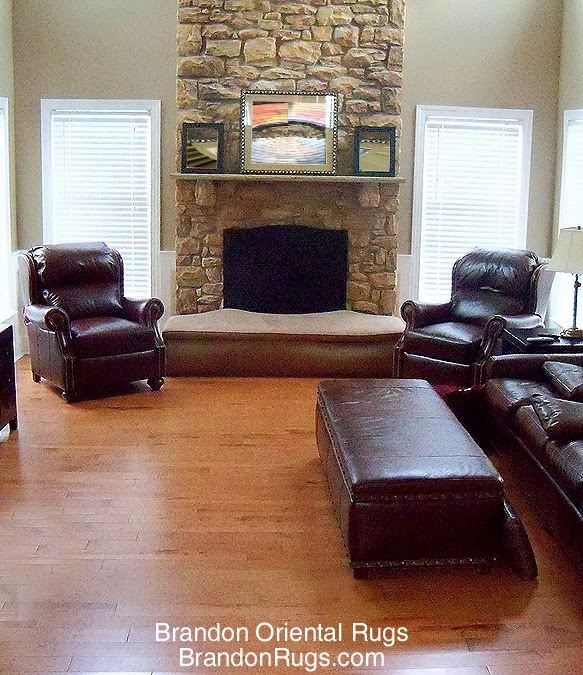 of the fireplace and the leather were the color cues we were asked to honor. Persian Tabriz design rug made in India. she chose from among all others. of the seating group; and makes the family room much more inviting to the family. Two presentations in our customer's home with rugs of various sizes, styles and colorways were necessary to help her and her husband decide on the rug seen here. While some of the other ideas presented had merit, this rug really stood out as "made for the room". 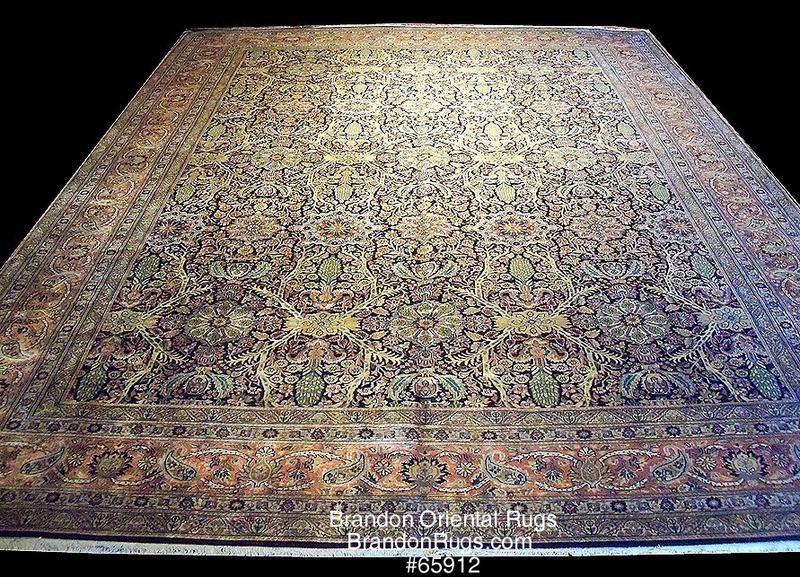 Hastily recorded January 17, 2014 after we opened some rugs from our latest "rug-hunt" and realized that thanks to the wide-ranging requests received recently from customers, we really have a diverse selection of rug styles and qualities. This is an encouraging sign of renewed energy, imagination and innovation in the handmade rug "industry". Rug makers worldwide are beginning again to produce unique works of art that are daring, courageous and confident. After a number of years following the economic downturn in which production was sparse in volume and variety, and uninspiring in realization, the flood of wonderful new rugs is refreshing and exciting. It occurs to us that we can again say that there is truly a fine quality rug style to satisfy any taste, as well as just about any color, size, shape or price constraint. At last, the oriental rug business is fun again. Our customer, who lives in Upper Makefield Township at the border of Newtown and Washington Crossing, has a lovely home where she entertains neighbors and friends for casual events throughout the year, and which she uses as a meeting place for the many service organizations of which she is a member. 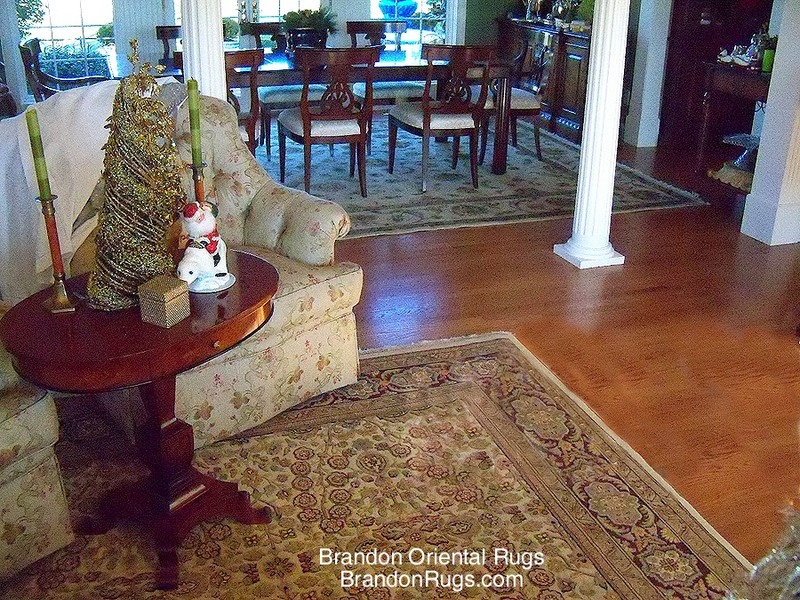 This past holiday season, she invited Brandon Oriental Rugs to help her acquire real hand-knotted oriental rugs to grace the floors of her living room and dining room in preparation for a large event she was hosting. 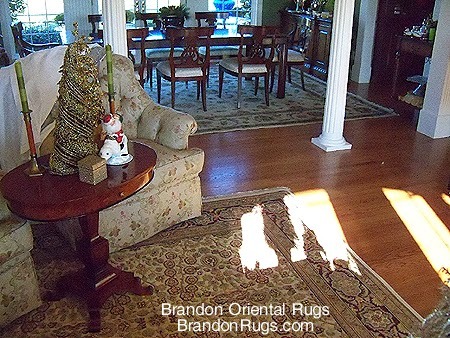 The living room and dining room, bathed in morning sunlight. Both rugs are hand-knotted Indian Agra designs. The living room rug is distinctive with its mille-fleurs background design and adapted cartouche border. The floral motifs throughout are heavily embossed to provide a beautiful textured relief to the pattern. Richly detailed as it is, it still "speaks" quietly with the delicately embroidered light fabric used on the furnishings; and allows the eye to see the open entirety of the conjoined rooms instead of being forced to focus on the foreground alone. 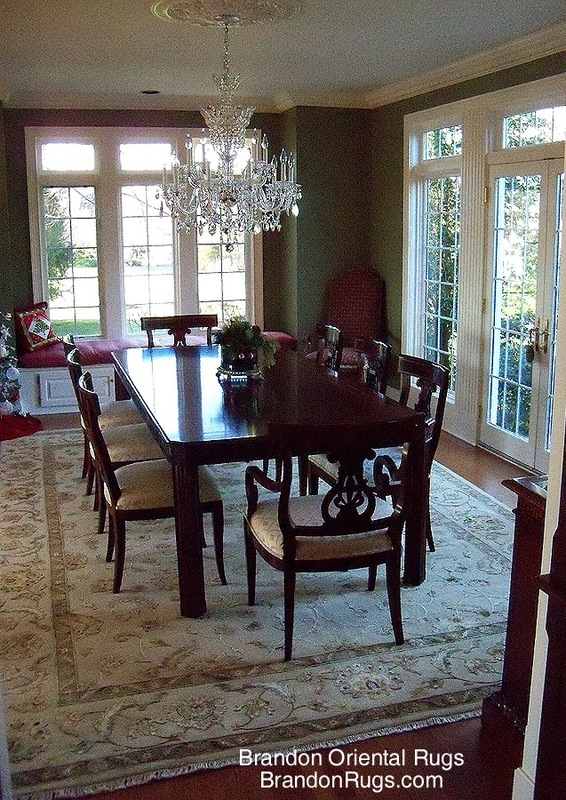 The dining room rug is a fine quality silk and wool pile Agra design. These are produced in various knot densities, and a finer, more detailed quality was selected here to be but a whisper to accent the rich architectural details and furnishings of the room. Because of the table's solid top, an unusual 10x15 size rug was necessary. 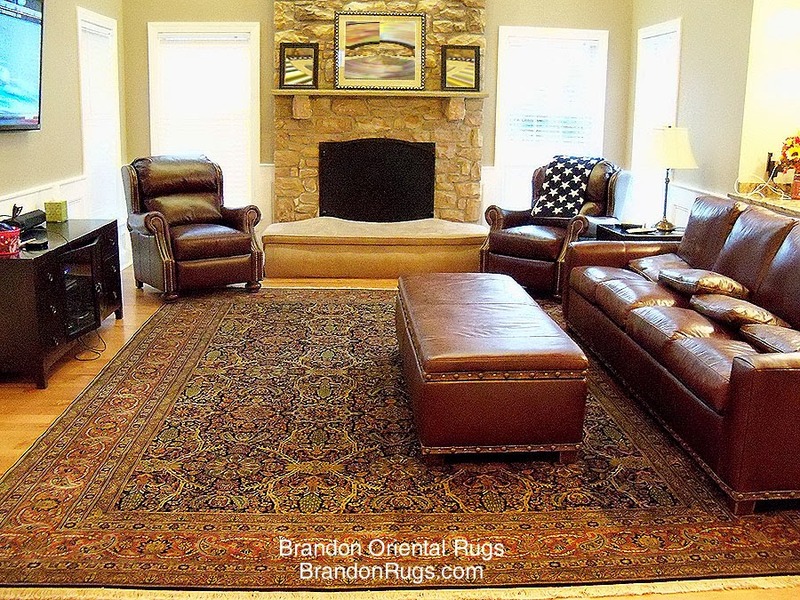 Matching our resources to our customer's tasteful goals, Brandon Oriental Rugs helped her acquire the fine quality oriental rugs that will help her showcase her elegant home for the many events she will be hosting in conjunction with her dedicated service activities in the years ahead. 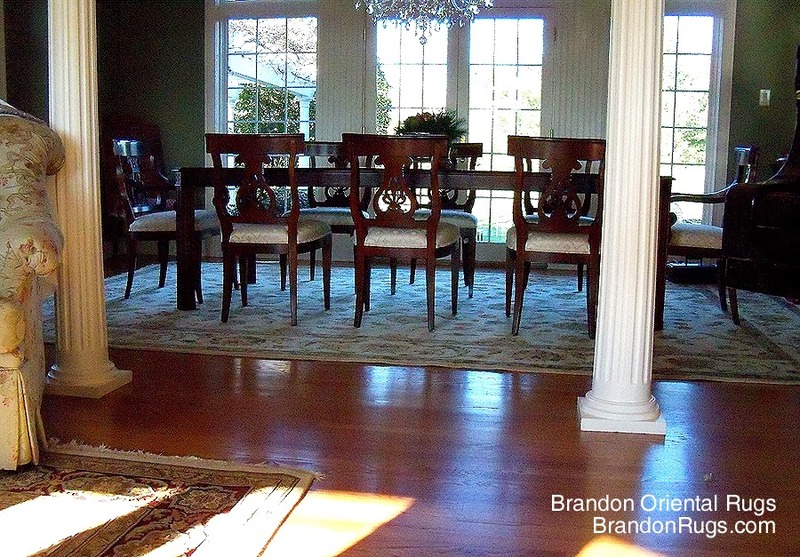 New Pinterest Board from Brandon Oriental Rugs - www.BrandonRugs.com - shows rugs newly selected to help our customers in Bucks County and Lehigh Valley, PA and Princeton, NJ with recent home design and renovation projects. 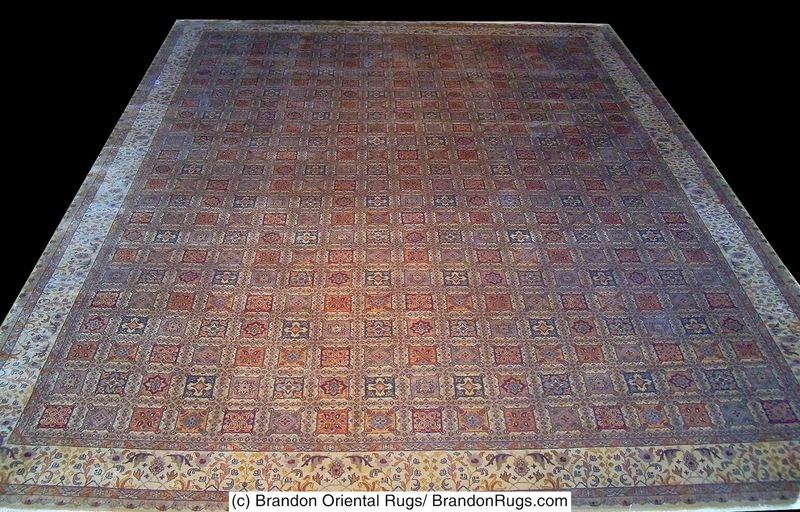 We've set up a board on Pinterest at http://www.pinterest.com/loomandessence/available-oriental-rugs/ that features our current inventory stream, selected to honor recent customer requests. As you can see, we bring multiple pieces for any particular project to provide you with maximum degrees of freedom in the selection process. Using our large supplier network, we attempt to make available anything of merit to your interests based upon the parameters you establish regarding colors, style, size, quality, price, origin, age, or whatever else you can think of that matters to you in your search. While the rugs you see posted have been selected for others to consider, all of the pieces you see can be considered available to you as well unless marked SOLD. 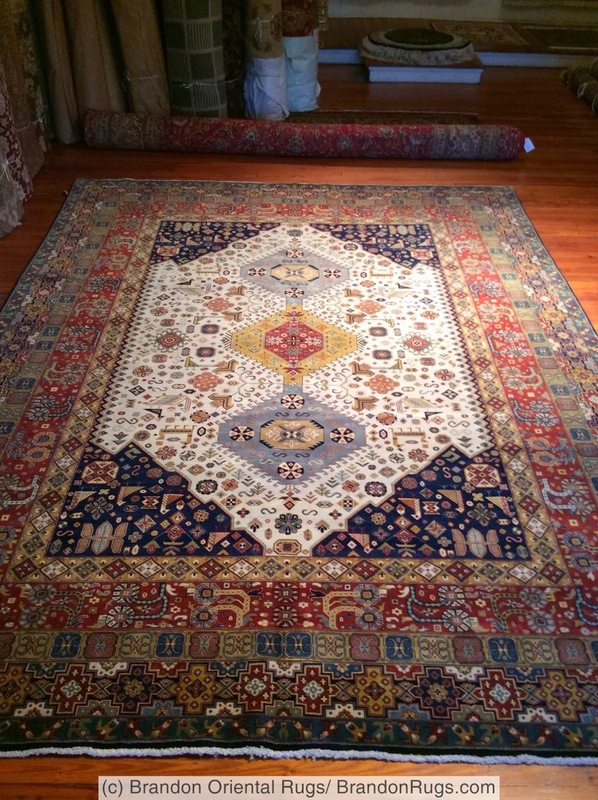 If you have interest or questions regarding any particular rug you see posted, please call us (215-794-2300) or use the "CONTACT" form on the sidebar of this blog. We are happy to do whatever we can to answer your questions and advance your appreciation of real handmade rugs. And please bookmark (favorite) the page; and feel welcome to check back often to see if a search we've performed for another has uncovered treasure of interest to you.